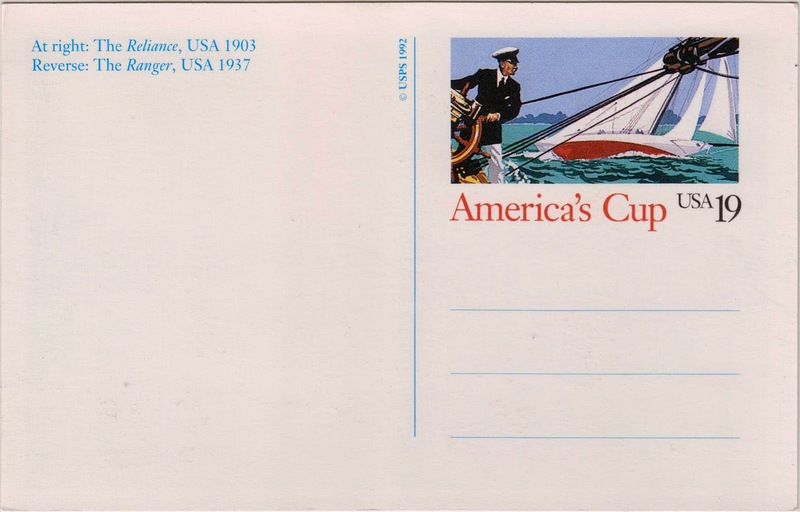 Outgoing postcard US-3280219 to Germany was a stamped card honoring the America's Cup yacht races issued by USPS at San Diego on May 6, 1992. It was sold for 50 cents, with 19 cents toward postage. 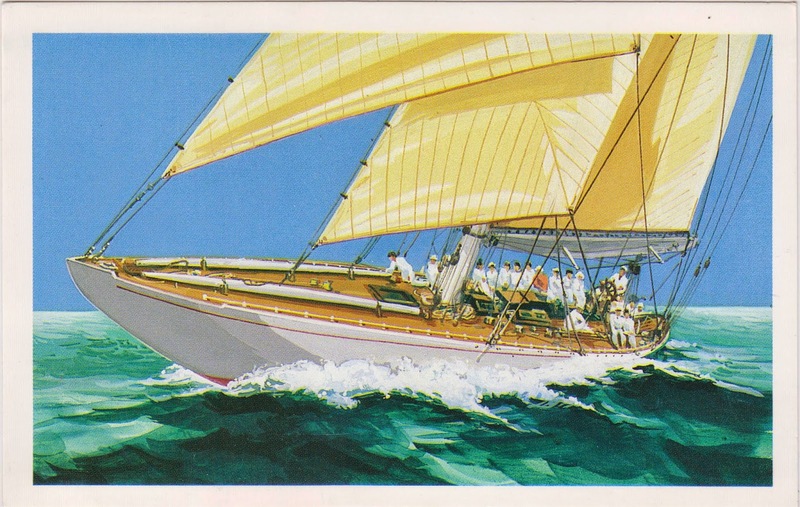 The front of the card features a full-color reproduction of the Ranger, winner of the 1937 America's Cup, as Ken Boyd, spokesman for the postal service, described to Los Angeles Times. "Wind-filled ocher sails, the bright white dress of the crew and a complementary green ocean and blue sky fill the card, which is trimmed in white." A 1-inch by 2-inch drawing of the Reliance, the 1903 winner of the America's Cup, appears in the upper right stamp area on the back of the card.